Take advantage of exclusive member discounts and save up to 50% on some of your biggest business expenses including fleet services and fuel, uniforms, websites, employment services, credit card processing, business forms, business insurance, and fuel—and see the results in your bottom line! Chrysler Group is pleased to announce a special $500 cash allowance toward the purchase or lease of many of the most popular vehicles in our lineup. From the “built-for-commercial” Ram 1500 Tradesman 4.7L truck that has the lowest MSRP2 in its class, best-in-class 25 hwy mpg3 and a truckload of standard features, including the RamBox® Cargo Management System, to our Ram 2500 with the legendary 5.7L HEMI® V8. And, let’s not forget Ram Chassis Cabs (3500/4500/5500) which offer the largest rear fuel tank in their class,4 best-in-class5 standard hp and torque (3500), and best-in-class6 brake size (4500/5500). In the Chrysler, Jeep®, Dodge and Ram lineup, there’s something for everyone. And we mean everyone! PHCC members and their employees who use their vehicles for day-to-day business can combine this stackable cash allowance with current retail incentives7 and choose an ON THE JOB™ program allowance.8 That can make this offer worth up to $2,000 or more during Ram Commercial Truck Season! Plus, same household family members9 and PHCC National or Chapter employees10 receive a $5001 cash allowance, stackable with current retail incentives,7 toward the purchase or lease of a vehicle for personal use. Click here to view complete program details and to view eligible models and incentives. ConsensusDocs contracts are the only industry standard contracts written by 39 leading design and construction industry organizations. Offering a catalog of 90+ contract documents covering all methods of project delivery, ConsensusDocs contracts incorporate fair risk allocation and best practices to represent the project’s best interests. Coalition Members represent Designers, Owners, Contractors, Subcontractors and Sureties (DOCS). For more information, please visit www.ConsensusDocs.org. To find out who is using ConsensusDocs on their projects and to read testimonials click here. PHCC Colorado has a strategic relationship with XcelEnergy to provide members with access to and training on commercial and residential rebate programs. Work with Xcel to promote energy efficiency through their residential and commercial programs and help grow your business. Find resources and tools regarding current programs and rebates that your customers can use. Get updates on specials promotions and cash incentives. Click here to learn more and register as an XcelEnergy trade partner. Click here to view a video that walks you through the 2014 Residential Rebates program. Click here to view a summary of the 2014 Colorado Residential Energy Efficiency Rebate programs. Click here for the online commercial programs directory. PHCC Colorado is celebrating 30 years in partnership with Federated Insurance. Federated specializes in insurance for select industries including construction (electrical, plumbing, HVAC, sheet metal, refrigeration, water conditioning). Make Federated Insurance your one-stop source for just about all of your business insurance needs. Federated representatives are located nearby for local answers, information and support. Federated offers business owners estate protection strategies, succession planning, safety, risk management and loss prevention services. The company was rated A+ (Superior) by A.M. Best Company. For the latest rating, access www.ambest.com. Federated was also included in the Ward’s 50 group of companies that have excelled at balancing financial safety, consistency, and performance over a five-year period. Federated has rolled out a new human resource solutions network – Federated Employment Practices Network (FEPN) to help clients navigate difficult HR issues. Click here for detailed information about this new service. PHCC National has developed stand-alone service groups to meet the specialized needs of three distinct industry segments – new construction, service and repair, and signatory contractors. For an additional membership fee, you’ll gain insight into the specific challenges these industry segments face with additional networking opportunities and valuable member-specific information. 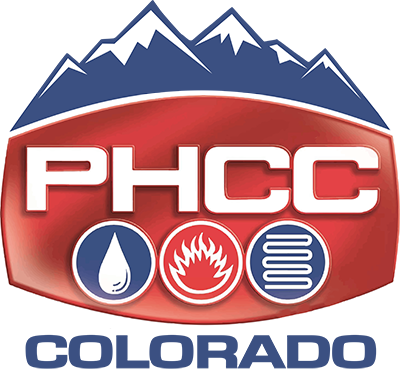 Click here to visit the PHCC National site for a detailed overview of all 3 groups.